Nice after the inauguration of tram line 2. 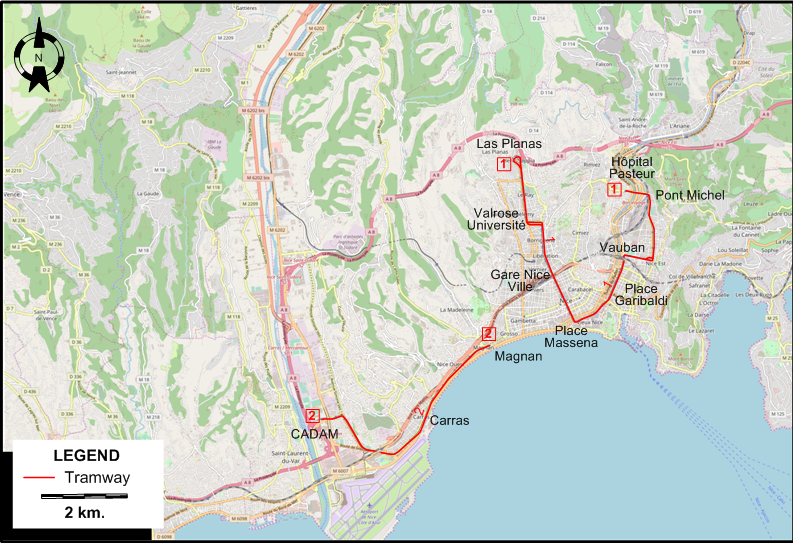 Urban tramway (Cannes): 25 Feb. 1899 - 11 May 1933. Urban tramway (Nice, first generation): (horse-drawn): 28 Feb. 1878 - 3 Nov. 1902; (electric): 13 Jan. 1900 - 30 Jan. 1953. Urban tramway (Nice, second generation): 24 Nov. 2007 - today. 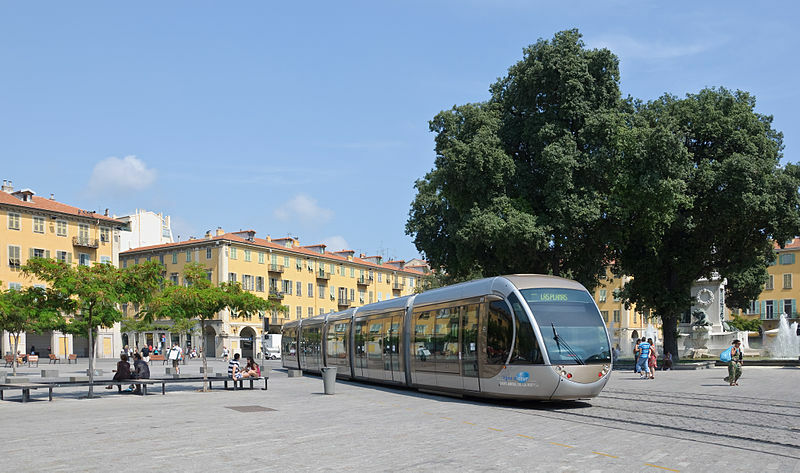 Tramway (Nice and Cannes, first generation): 1000 mm. Tramway (second generation): 1435 mm. Courant, R. Le temps des tramways Menton: Éditions du Cabri, 1982. 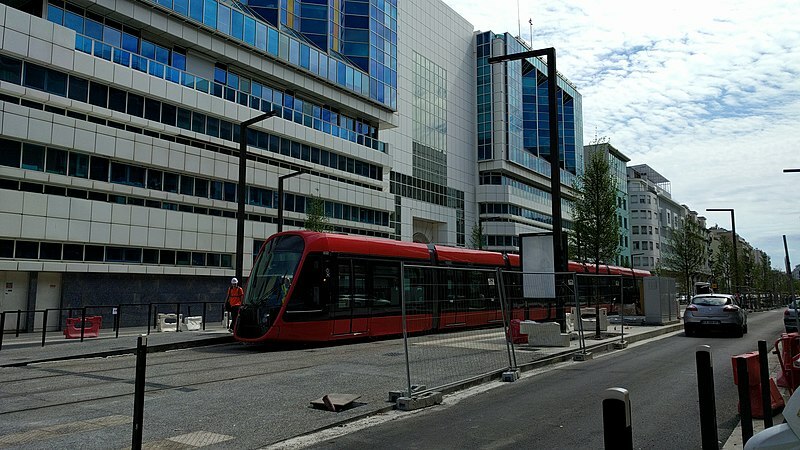 Robert, J. Les tramways de Nice et de la Côte d'Azur Neuilly-sur-Seine: Editeur Jean Robert, 1988.